AMMONNEWS - With Elton John’s “Crocodile Rock” playing in the background and a tribute from Steve Irwin’s family, a small seaside town in north Queensland bade farewell to a beloved community member Saturday, a saltwater crocodile. Affectionately known as Bismarck, Fluffy or Gary, depending on whom you speak to, Cardwell residents held a ceremony to say goodbye to the town’s 4.5 meters croc. Bismarck made international headlines earlier this month when fisherman Ryan Moody posted a video to social media about finding the crocodile -- rumored to be as old as 80 -- dead in a creek with what’s believed to be a gunshot wound. “He was so, so passionate about protecting crocodiles and making sure we had these modern-day dinosaurs for the future generations,” Irwin’s daughter Bindi and son Rob said. Ormonde told AFP she couldn’t believe the interest the crocodile’s death attracted from across the world. “Bismarck delighted locals and tourists as he was always happy to show himself at a safe distance,” she said. “I grew up hunting and I was always taught if you’re going to hunt something, you should do it for two reasons -- pest management or to use or eat parts of the animal,” he said. 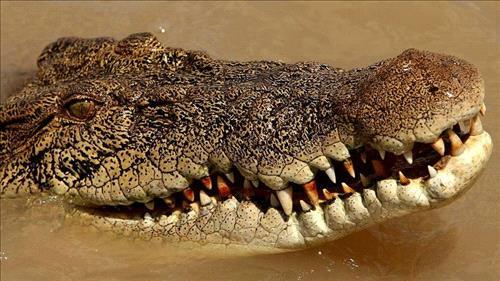 A spokesperson from Cardwell Police confirmed they are currently investigating the death of the crocodile to see if it’s been killed illegally.